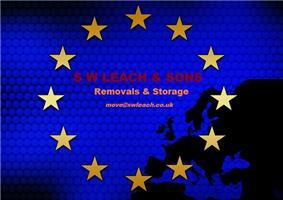 S W Leach & Sons - Removals/Storage based in Maidstone, Kent. Are you looking for a house removal and storage company in Kent? S.W. Leach Removals and Storage are a family run business specialising in domestic removals across Kent to all over the country and further afield . If you’re moving home and looking for a reliable and professional removal company then we can help. We have been providing removal services for more than 35+ years and provide a complete family friendly service from packaging to transport. Our wide range of vehicles are suited for any removal task whether you are moving down the road, across the country or further into Europe.